London is easily one of the world’s most thrillingly cosmopolitan cities. 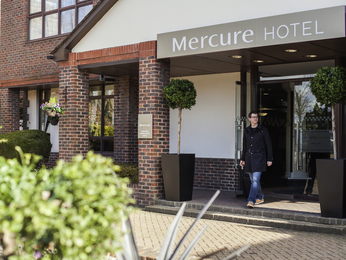 Whether you’re in the UK’s capital for sightseeing or business, one of our 4-star Mercure hotels in London will make a perfect base for your stay, with seven different locations dotted around the capital to choose from. If you want to have the sights and hotspots of the Southbank on your doorstep, our London Bridge location is perfect. After sampling some of the artisanal fare of Borough Market, go for a stroll along the Thames and spot the likes of Big Ben, the London Eye, Tate Modern and St Paul’s Cathedral. Or you could head up the Shard and get a 360-degree view of the capital from the 72nd floor. If you’re in the capital for some retail therapy, then our Kensington location is the hotel for you. Set on Cromwell Road, you are close to the world famous department store Harrods, the various museums of Exhibition Road and the antiques of the renowned Portobello Road market. And if it’s a nice day, you won’t have far to go to get to Hyde Park, where you can sit and relax next to Serpentine. And if you need to be close to transport options, we’ve got you covered. Our Paddington hotel is just minutes from the station, and you will be able to get around the city with ease thanks to the numerous tube lines that run through the area. Alternatively, if you need to be close to Heathrow, our London Heathrow hotel is conveniently located to get you from your roomy bedroom to the departure lounge in minutes.